When it comes to car insurance, Oregon is a Goldilocks state: not super cheap, but not too expensive, either. If you feel like you’re paying a lot for not-so-great coverage, it’s time for a change. 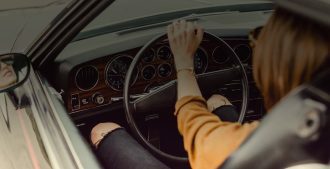 We’ll explain how Oregon car insurance works, the state minimum requirements, and how to find the best rates. Or, here’s the TL;DR version: To find cheap car insurance in Oregon, all you have to do is get personalized quotes on Compare.com. It’s free. It’s fast. It works! 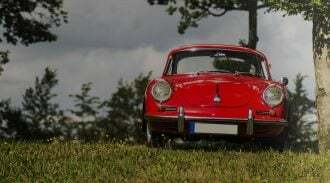 What Are the Oregon Auto Insurance Requirements? Which Insurance Companies in Oregon Have the Cheapest Rates? We really wish we could tell you “Company X is the cheapest” but car insurance doesn’t work like that. Auto insurance — in Oregon or anywhere else — is an extremely personalized product. When they’re calculating rates, insurers consider factors like your age, your gender, your marital status, your driving record, etc. 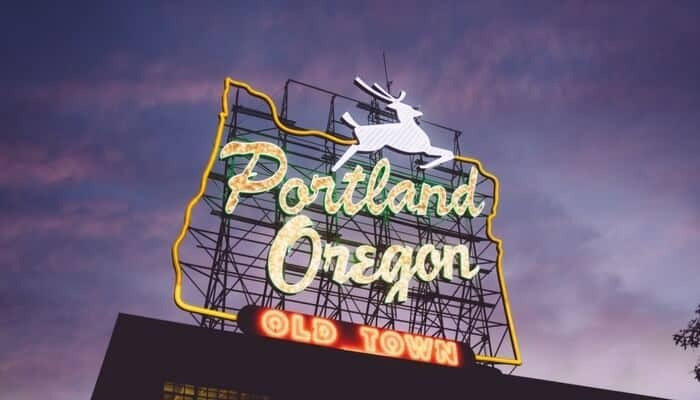 Where you live also matters; car insurance in Portland is usually more expensive than in smaller towns or rural areas. The only way to get the cheapest rates is to compare customized quotes side by side. What’s more, you’ll probably be surprised: Often, quotes for the same level of coverage differ by hundreds of dollars! Compare.com makes it really easy to compare quotes from different car insurance companies in Oregon. First, enter some basic information. We’ll never ask you for any sensitive info, like your social security number. Then, pick a level of coverage: state minimum, Basic, Plus or Premium. To see the absolute cheapest Oregon insurance quotes, pick state minimum. This gives you 25/50/20 coverage for bodily injury and property damage, 25/50 in uninsured motorist bodily injury, and $15,000 in PIP coverage. In 30 seconds, you’ll see who’s offering you the best deal. Should I Carry More than the Minimum Insurance in Oregon? The short answer: Yes, if you can afford it. Liability insurance exists to protect your assets, so you won’t lose everything you’ve got if you get sued by someone you hurt in an accident. If you don’t have a lot of assets, and if you drive a beater car, the minimum insurance might be enough. Nationwide, the average auto liability claim for property damage was $3,231 (in 2013), and the average auto liability claim for bodily injury was $15,443 — which would be covered by Oregon state minimum insurance. But that’s just an average. To protect yourself in case you cause a serious wreck, you should carry more insurance. How Can I Find Cheap Oregon Insurance that Still Protects Me? To find the perfect balance of affordability and protection, we recommend comparing quotes for different levels of coverage. We’ll show you how! Let’s run the numbers for a 27-year-old woman with a good driving record who lives in Salem, OR. She drives a two-year-old Honda Fit. When she chooses state minimum insurance, the best quote she gets on Compare.com is $95 per month (when she opts to pay the premiums up front). That’s not bad. However, minimum insurance doesn’t include comprehensive and collision coverage, which she needs because her car is fairly new. So she tries Basic coverage, which adds comprehensive and collision (with a $1,000 deductible). Now, her best quote is $147 per month. Okay… so what happens if she goes up one more level, to Plus coverage? Now she gets a lot more. Plus raises the bodily injury/property damage liability limits to 50/100/50, and also increases uninsured/underinsured motorist bodily injury to 50/100. She gets $25,000 in PIP coverage, her comprehensive and collision deductibles go down to $500, and she gets towing and rental car coverage thrown in too. Her best quote for Plus is $162 per month, which is not a whole lot more than Basic. Now our Salem driver can make an informed decision: Should she spend an extra $15 per month for better coverage? Or should she opt for the cheapest auto insurance she can find? On Compare.com, you can also increase or decrease your deductibles, add or delete towing and rental car coverage, and choose specific limits for different aspects of your coverage. Is Oregon a No-Fault State? No — but it does require no-fault insurance coverage. Wait, what? A true no-fault state is one in which your own car insurance company pays for your damages, regardless of who was at fault in an accident. No-fault laws are designed to reduce lawsuits (although in most cases, people can still sue if their losses are severe or meet a certain dollar threshold). The opposite of a no-fault state is a tort state, which allows people to sue the at-fault driver for damages sustained in an accident. Oregon is one of the few tort states that also requires PIP coverage. The others are Delaware and Maryland, as well as Washington, D.C. In Oregon, it’s possible to drop PIP coverage if you make the request in writing to your insurance company, but most people do carry it. It’s cheap, and it can come in handy! PIP can help you get by while you’re waiting for an insurance company payout, or for your lawsuit to be resolved. What If I Can’t Afford Oregon Car Insurance? If you’re on a tight budget, you might be tempted to skip buying insurance. Don’t do it! Oregon has serious penalties for driving uninsured. If you’re caught and convicted, you’ll have to pay a fine up to $427, and your license will be suspended for a year unless you buy SR-22 insurance. SR-22 insurance is no fun. It’s a special, more expensive form of car insurance for high-risk drivers. In Oregon, you’ll have to carry it for three years after being convicted of driving without insurance. So don’t drive uninsured because you can’t find affordable Oregon car insurance. Compare.com can help you find cheap quotes in just minutes. Let’s go! ©2019 Compare.com. All rights reserved. Compare.com is a registered trademark. Compare.com Insurance Agency, LLC is a Virginia domiciled licensed insurance agency in 51 US jurisdictions. Licensing information may be found above. Compare.com does business in California as Comparedotcom Insurance Agency, LLC (License: 0I22535). Admiral Group plc. is a majority member of compare.com.